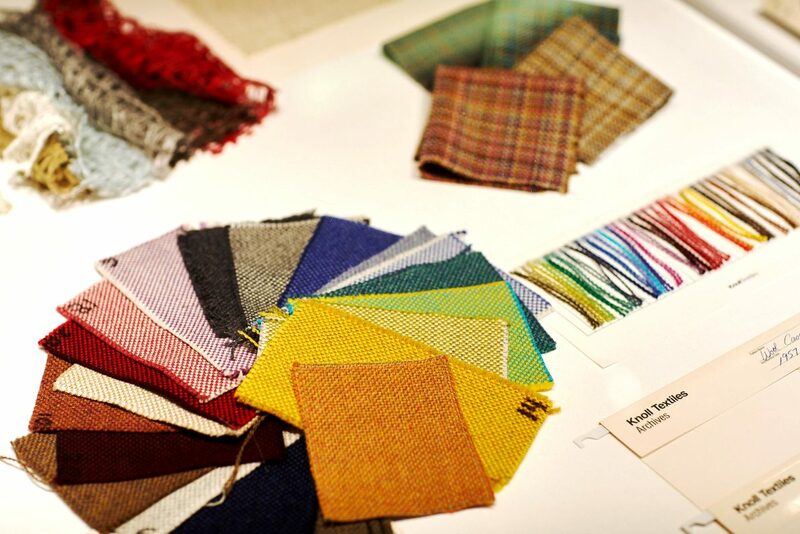 And with that, the business of commercial textiles was born ! 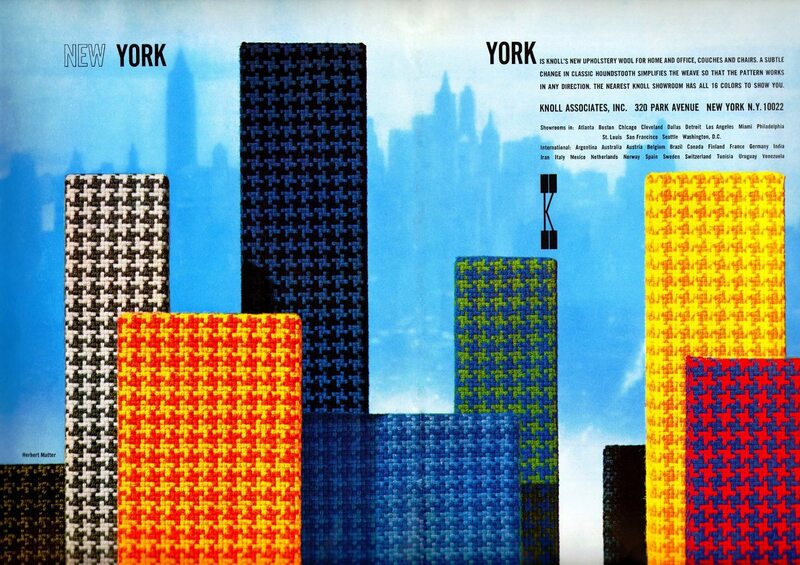 Over the last seven decades, Knoll Textiles has become synonymous with pioneering design. 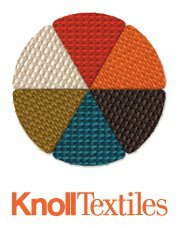 Under the direction of Creative Director Dorothy Cosonas, Knoll Textiles upholds its commitment to state of the art manufacturing and material development while fostering design collaborations and expanding into new product categories. 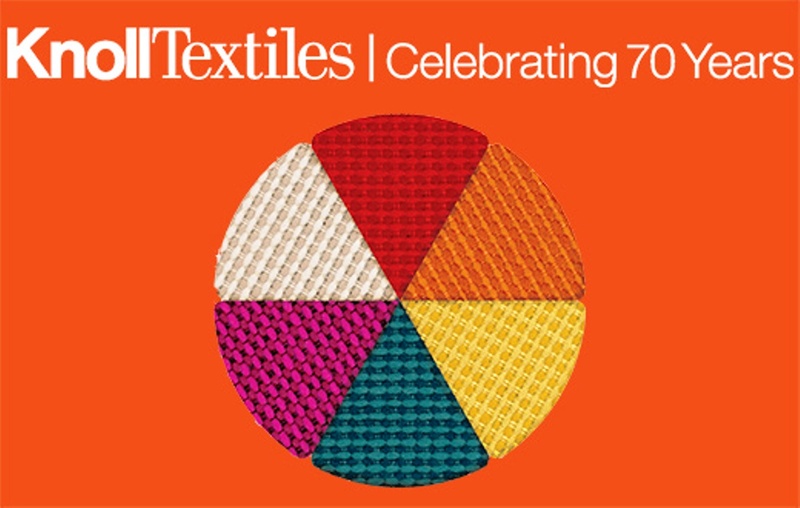 “ Very few textile companies can say they offer a breadth of products that have had a consistent point of view for 70 years. 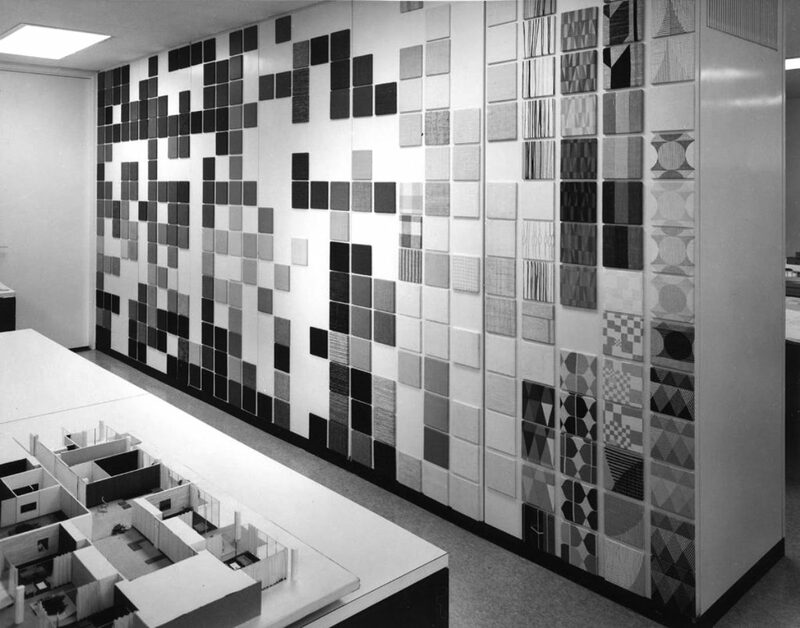 More importantly, no one in the market is connected to a legendary design visionary like Florence Knoll ” ………………………. Dorothy Cosonas. 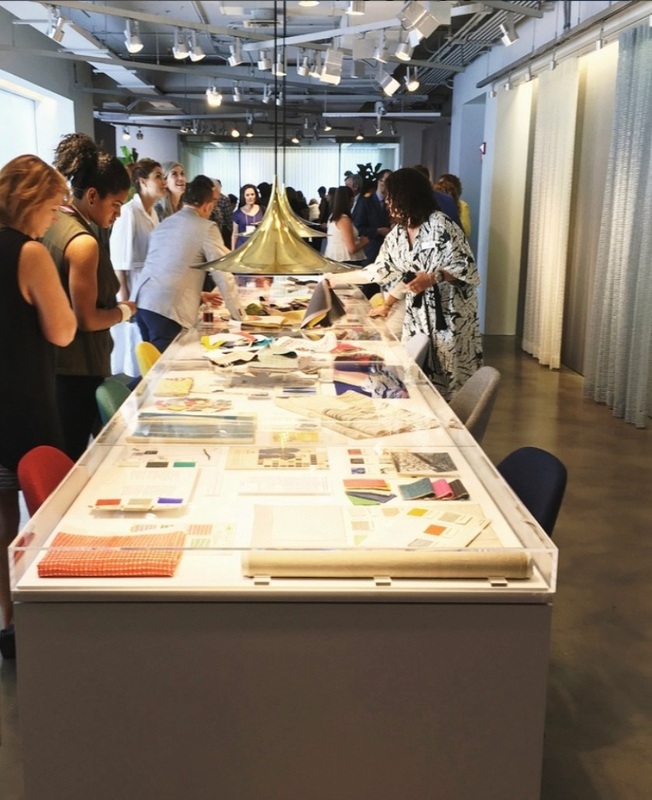 For its 70th anniversary, Knoll Textiles Creative Director Dorothy Cosonas and her team examined seven decades worth of archival designs, identifying classic and textural solids that could be adapted to address the needs of modern interiors. 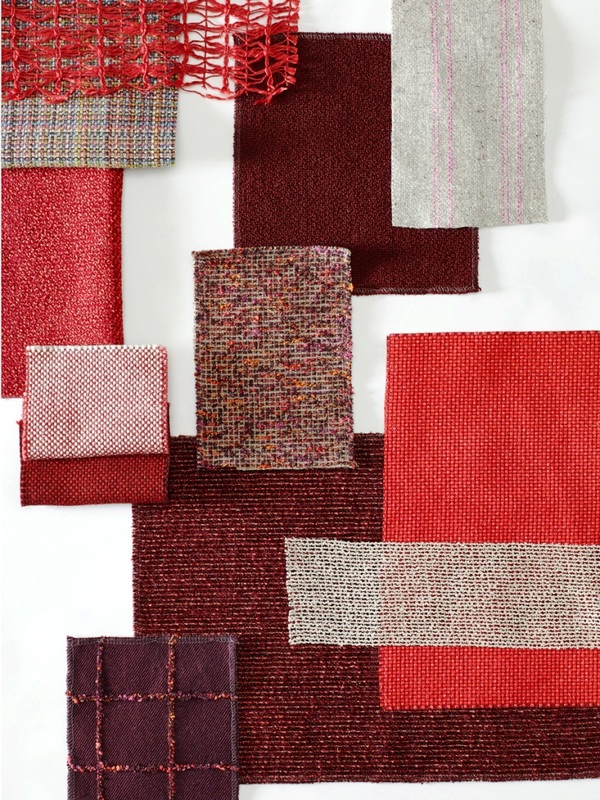 Knoll Textiles will continue to add to the archive-inspired collections in the fall, propelling the company’s heritage of classic modern textures into the future. 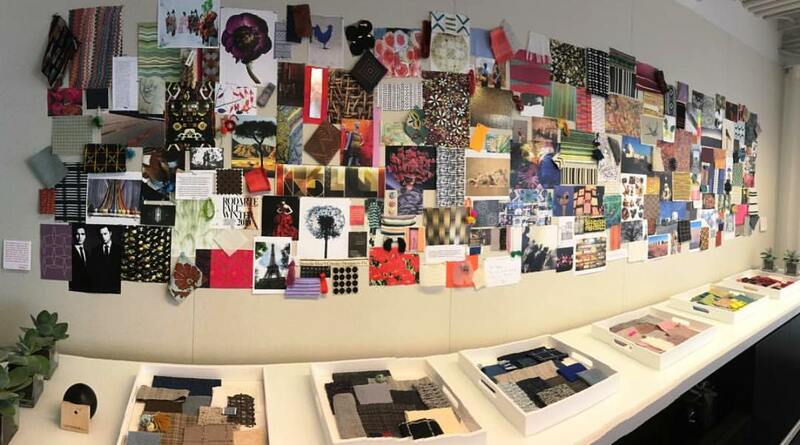 Dorothy Cosonas moved her inspiration wall from her office in NYC to Chicago for Neocon 2017. 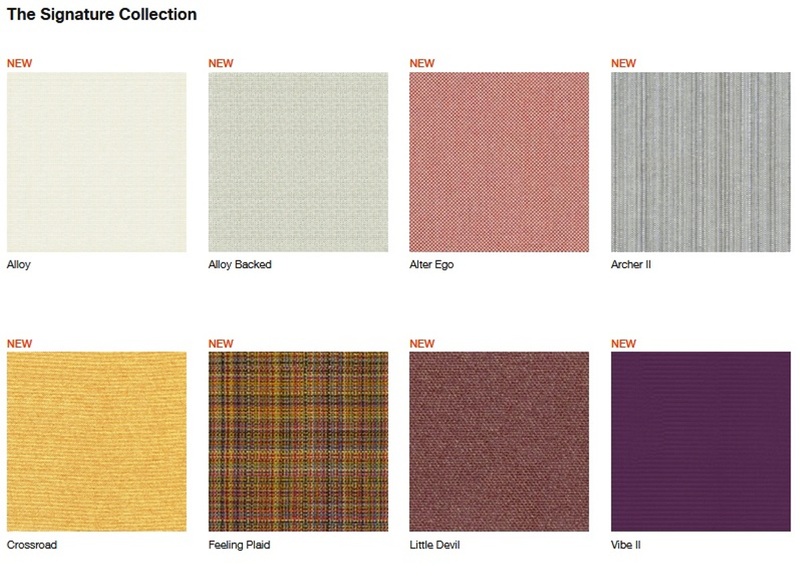 The Legacy Collection debuted at Neocon 2017 with six archive-inspired upholstery fabrics, two archive-inspired drapery, and three deep emboss vinyl wall coverings, in a total of 102 color options. 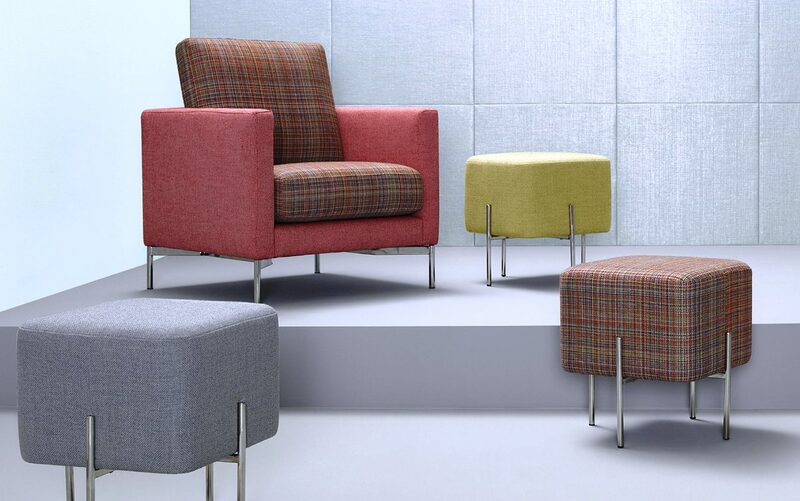 The Signature Collection introduces three archive influenced upholstery fabrics: Alter Ego, Feeling Plaid and Little Devil. 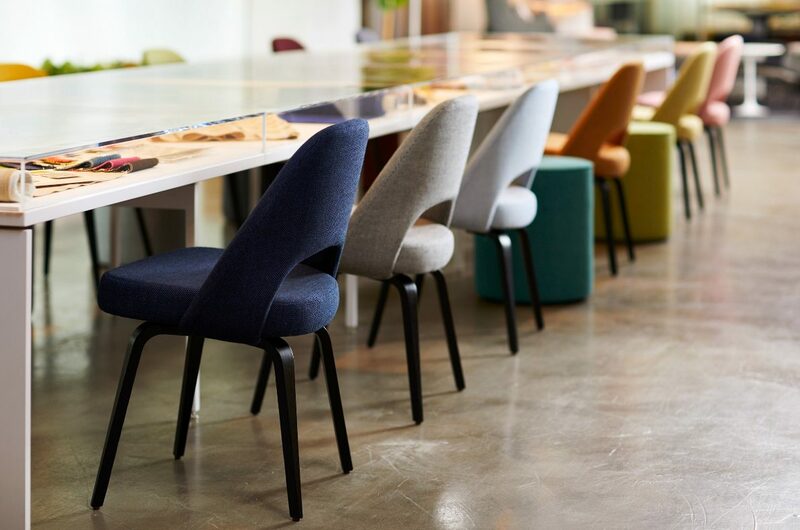 In addition, Vibe II polyurethane upholstery was launched with a fresh palette and enhanced performance attributes, while ten new colors were added to the popular upholstery/panel fabric Crossroad. 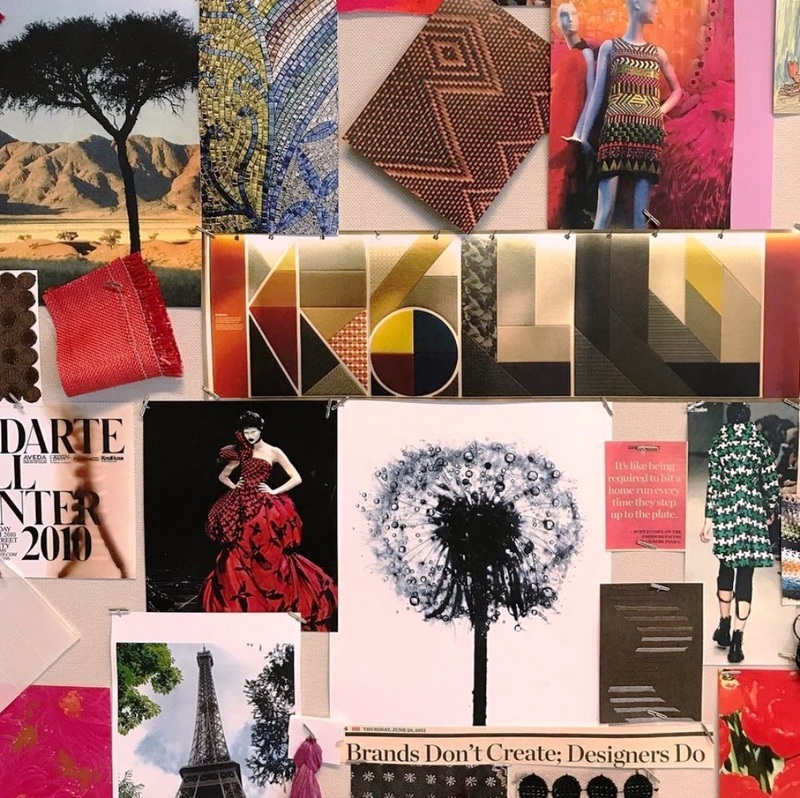 Knoll Textiles continues to build the 24/7 line of made in the USA high performance woven polyethylene wall coverings with the launch of Archer II and Alloy. 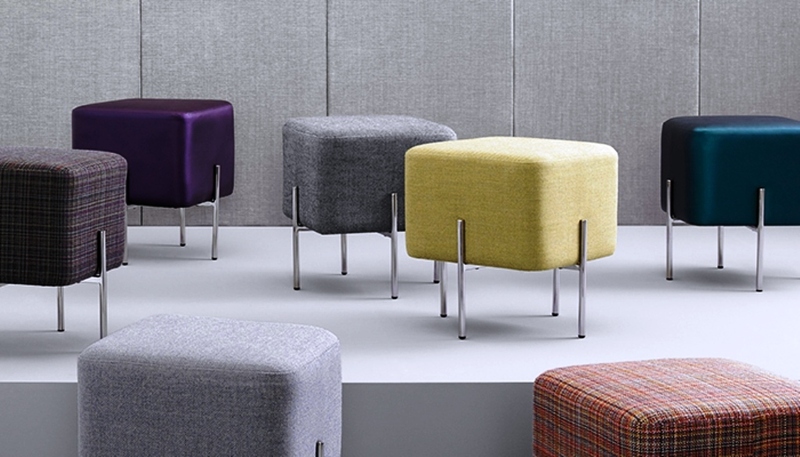 Alter Ego, part of the new Signature Collection, was inspired by multiple archival upholsteries including one of the best selling textiles in the history of Knoll. 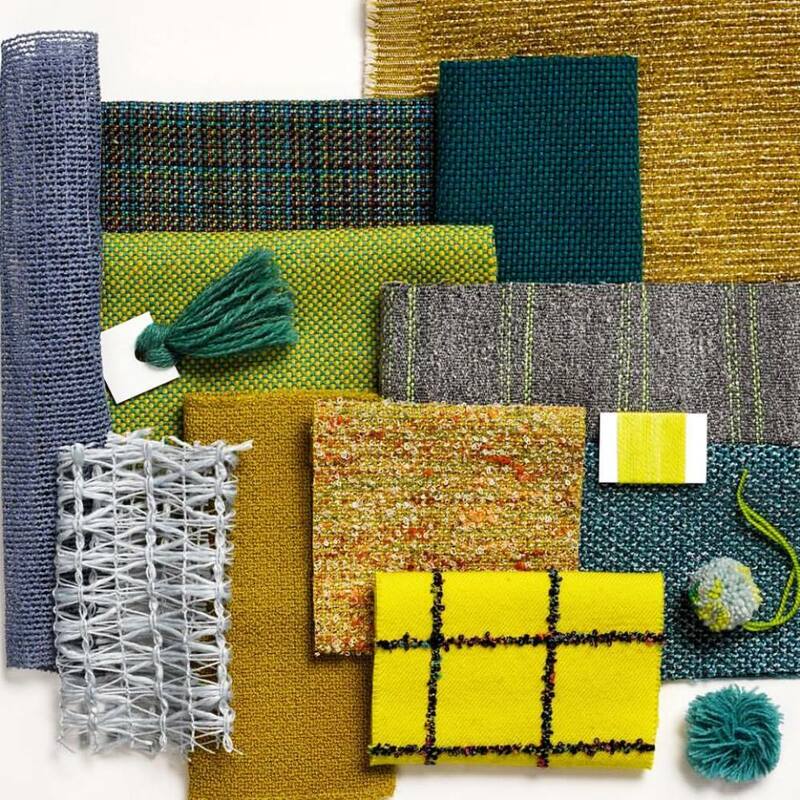 Alter Ego is based on multiple archives including a 1947 textural solid designed by Toni Prestini, Suzanne Huguenin’s Knoll Nylon Homespun (1965) and Executive Tweed (1968). 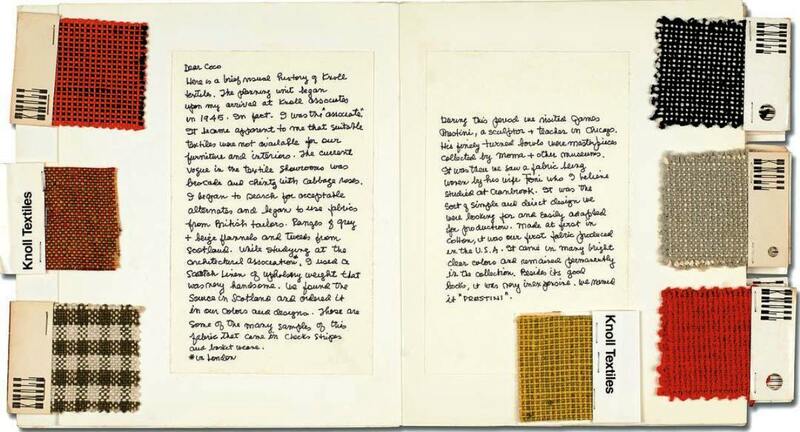 Suzanne Huguenin’s Knoll Nylon Homespun (1965) revolutionized the appearance of Knoll furniture and changed the entire textile industry. 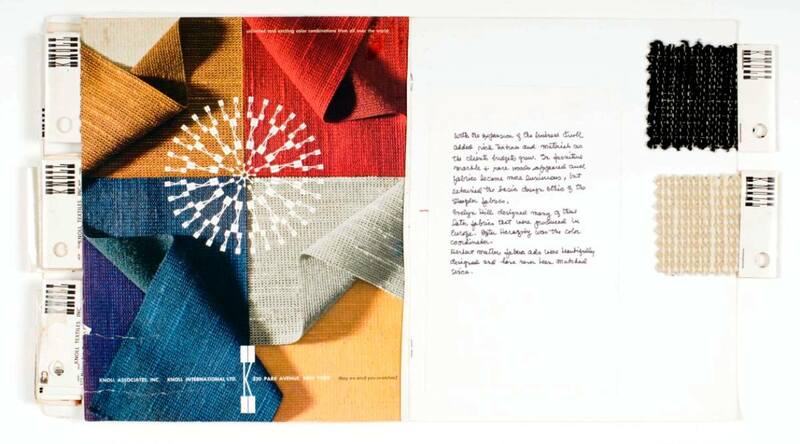 Nylon Homespun remained in the line for over 30 years and sold millions of yards. Its appealing texture and strong colors made it a workhorse of the line for corporate interior upholstery, and its durability set new standards for contract furnishings. 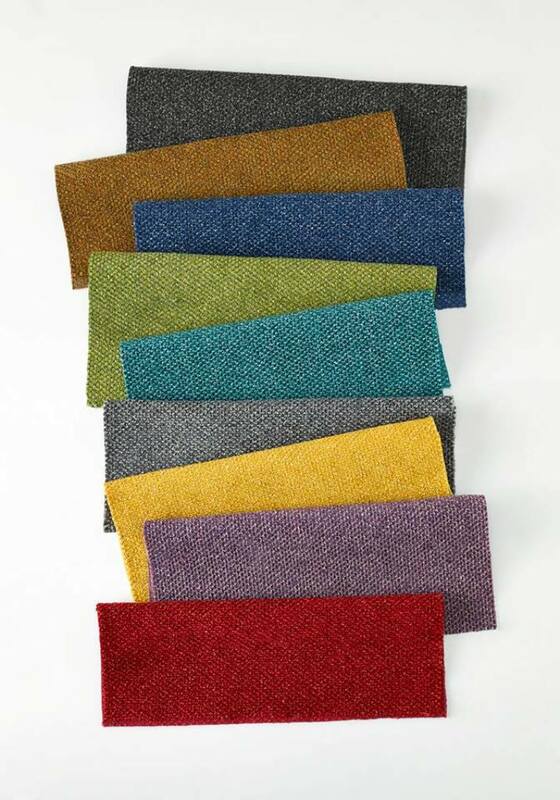 From sheep to loom, Alter Ego is 100% American wool upholstery. 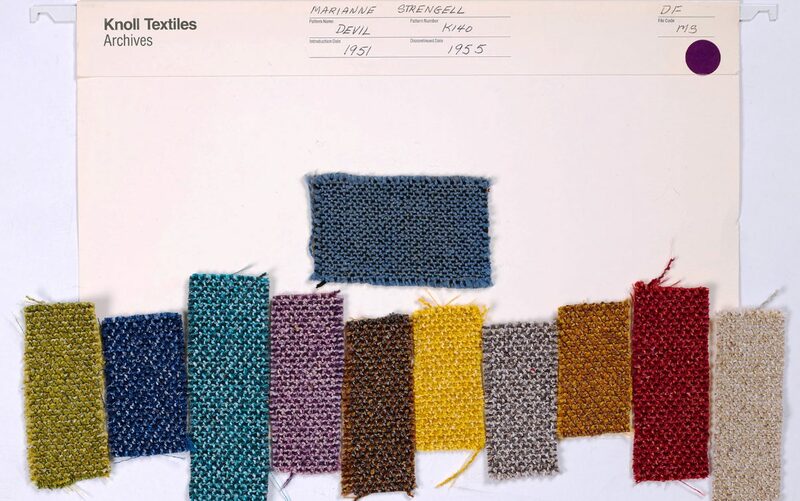 An artisanal process blends up to 6 unique colors of wool fiber to create the multidimensional and heathered yarns used in the upholstery. 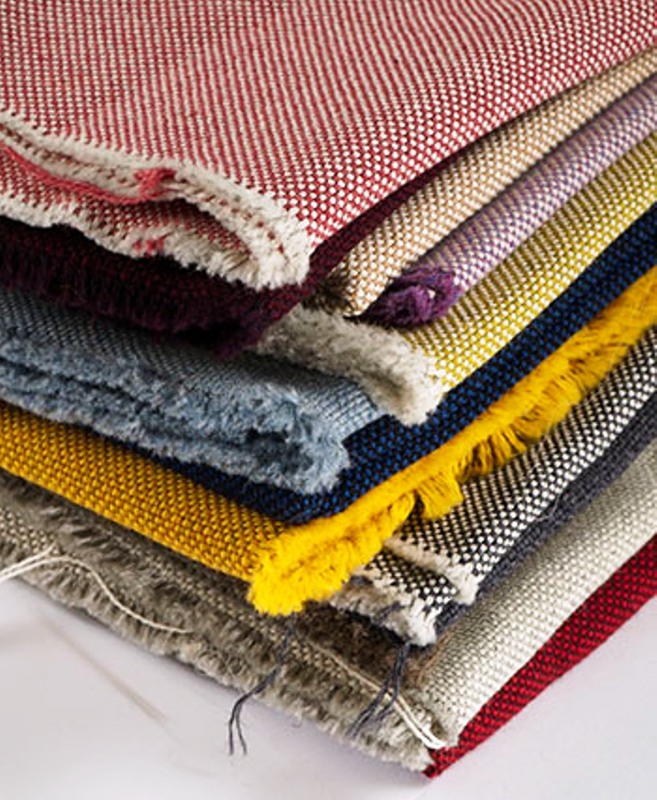 A final finishing process creates a soft luster and hand. 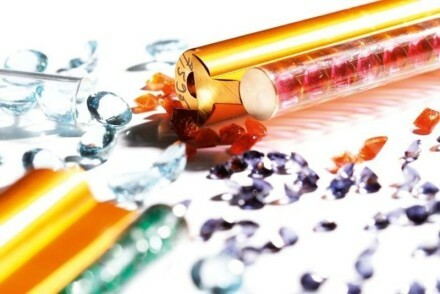 Alter Ego is offered in 20 colors! 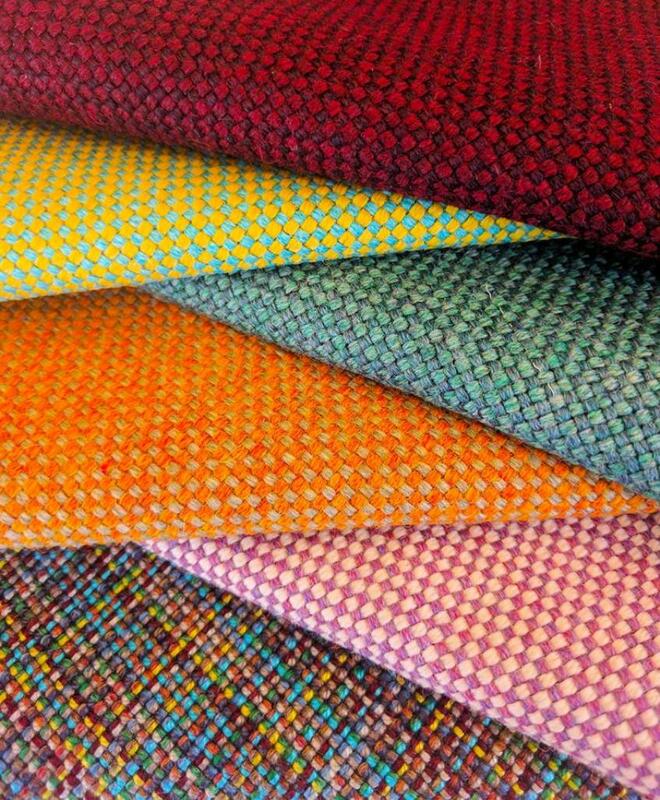 Feeling Plaid is a fun and chic large-scale full repeat pattern inspired by archival fabrics Bourette (1973) and Accord (1984). 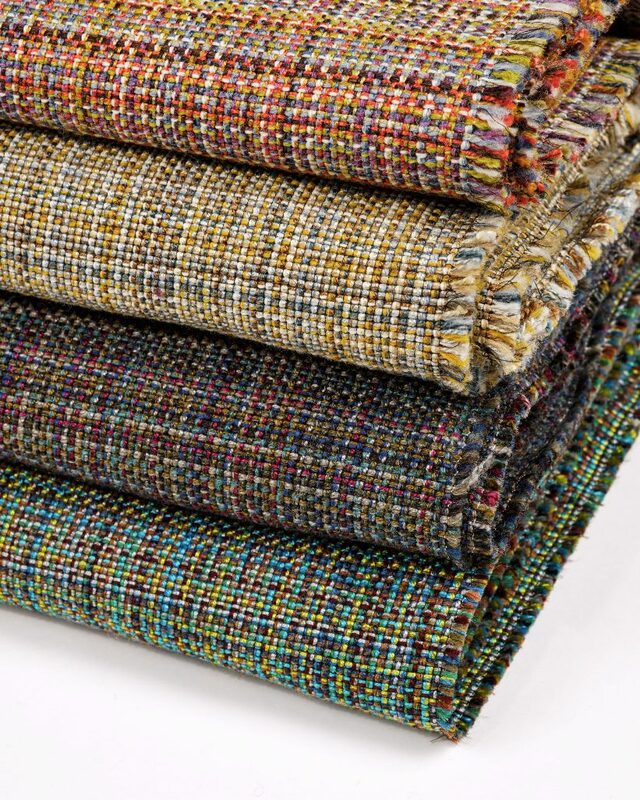 The dynamic mixture of colors in Feeling Plaid is achieved with a custom loom set up where 5 colors of wool and 5 colors of rayon are used in both the warp and weft directions. 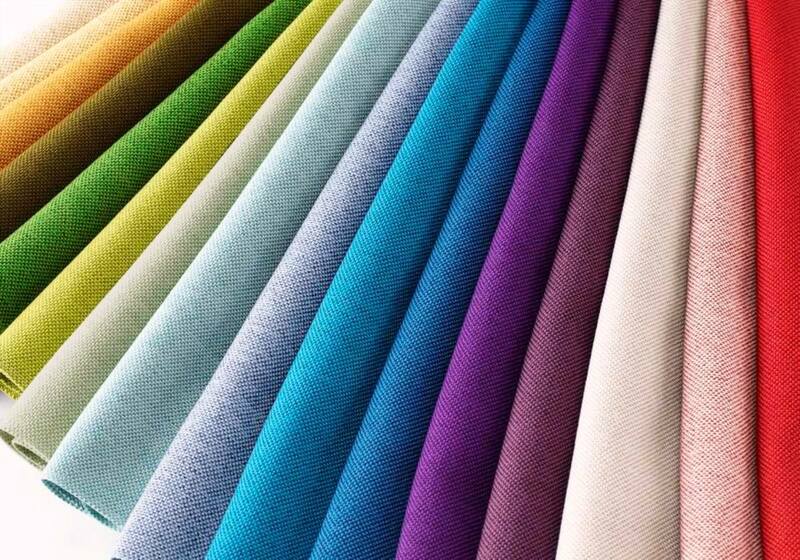 The split of rayon and wool create a beautiful balance of matte (wool) and luster (rayon) in the upholstery. Little Devil is an interpretation of Marianne Strengell’s 1951 upholstery Devil. 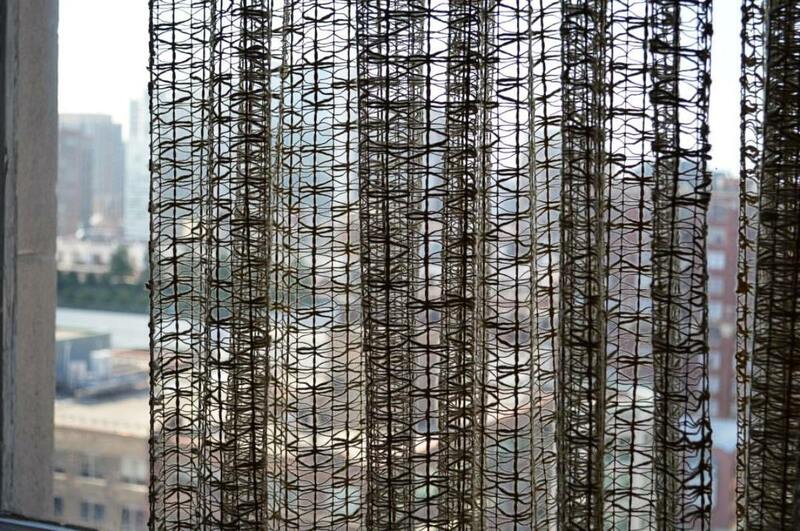 This allover texture has a super soft hand created by using boucle and chenille in the warp and weft directions. 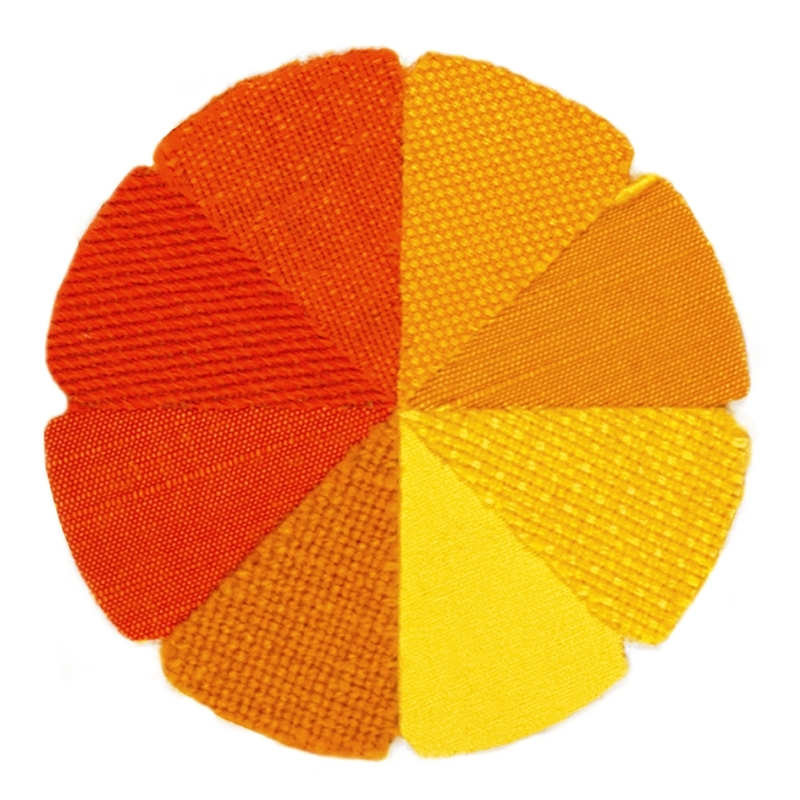 The pallet has been brought up to date with 12 clean clear colors. 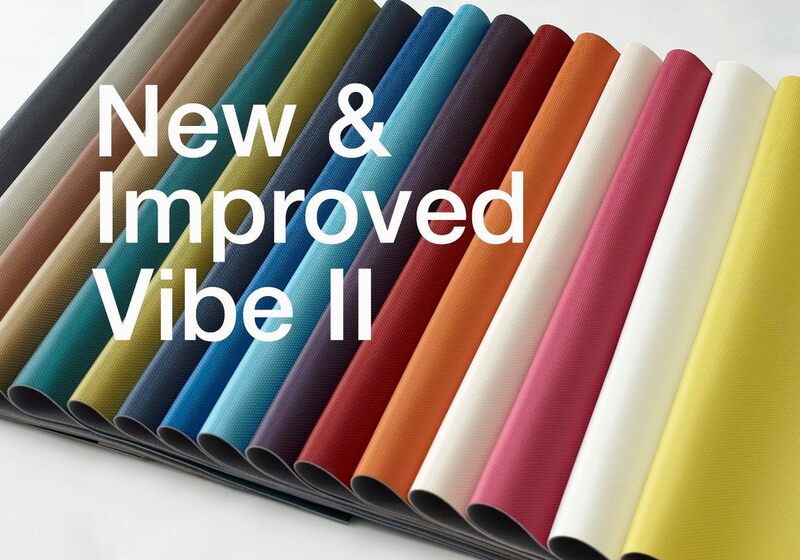 Vibe II offers the same beauty as the original Vibe polyurethane upholstery plus enhanced performance attributes. Vibe II is bleach cleanable, finished to be ink and denim dye resistant and passes 7-week hydrolysis. We kept the most popular colors of Vibe and added new colors to refresh the palette for Vibe II. As a bonus, we made Vibe II less expensive than the original. Crossroad now has 10 additional color choices for a grand total of 24! 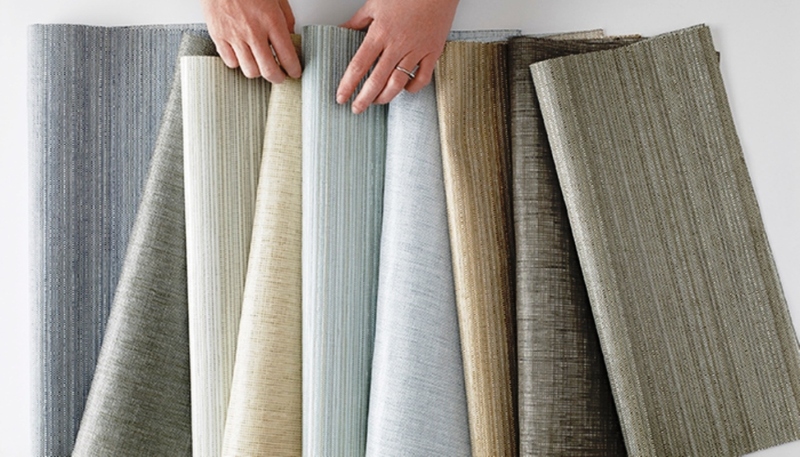 This popular upholstery/ panel fabric has a unique weave structure that gives it a dry hand with a rich wool look. 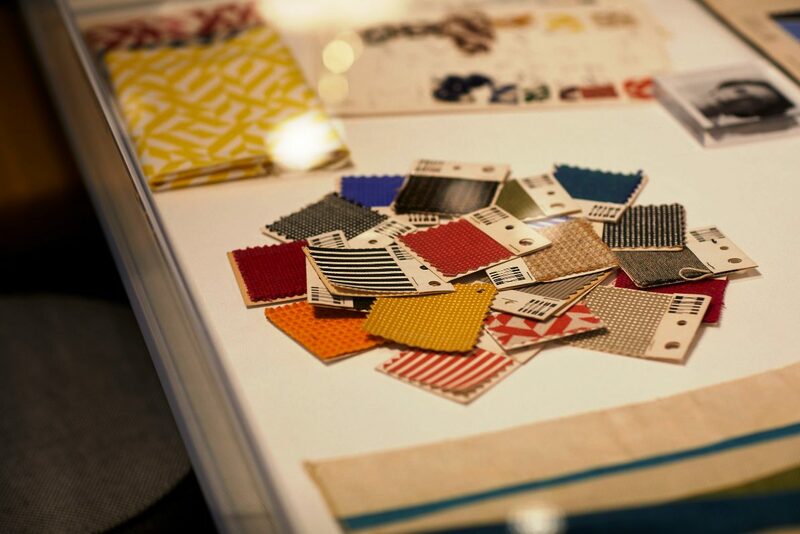 Knoll Textile’s ” Signature Collection.” comprises two wall coverings, Archer and Alloy, inspired by the Knoll Textiles archives. Alloy is a new and unique 24/7 pattern for direct glue or wrapped panel application. It has all the performance and cleanability attributes of other 24/7 products with an added hint of sparkle from a metallic polyester yarn. 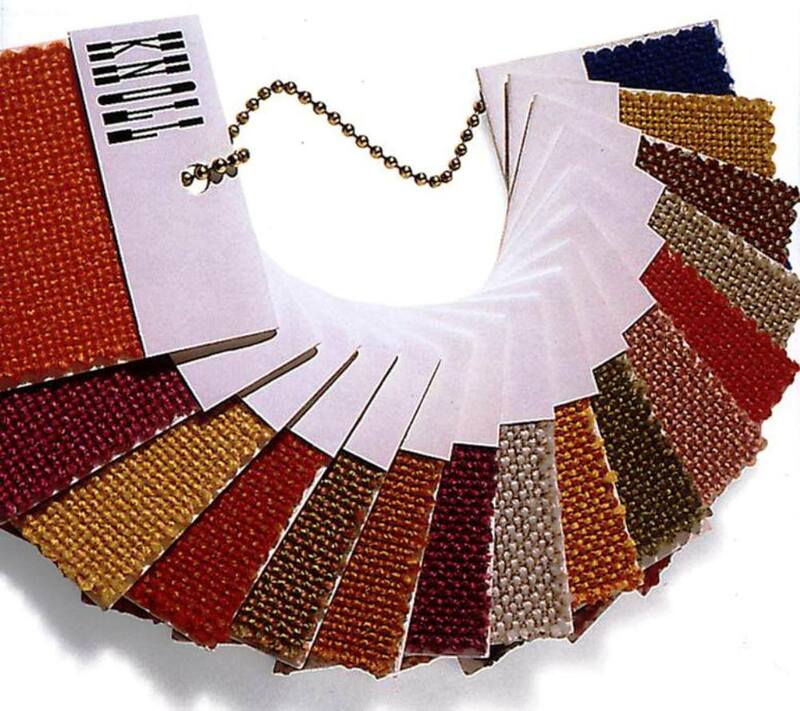 The sparkle yarn is exclusive from the mill to Knoll Textiles. 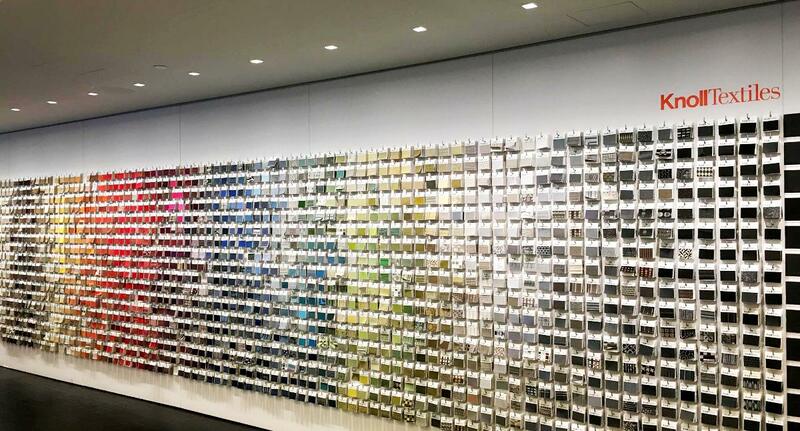 Alloy comes in colors ranging from deep dramatic grays to neutrals for direct glue or wrapped panel application. 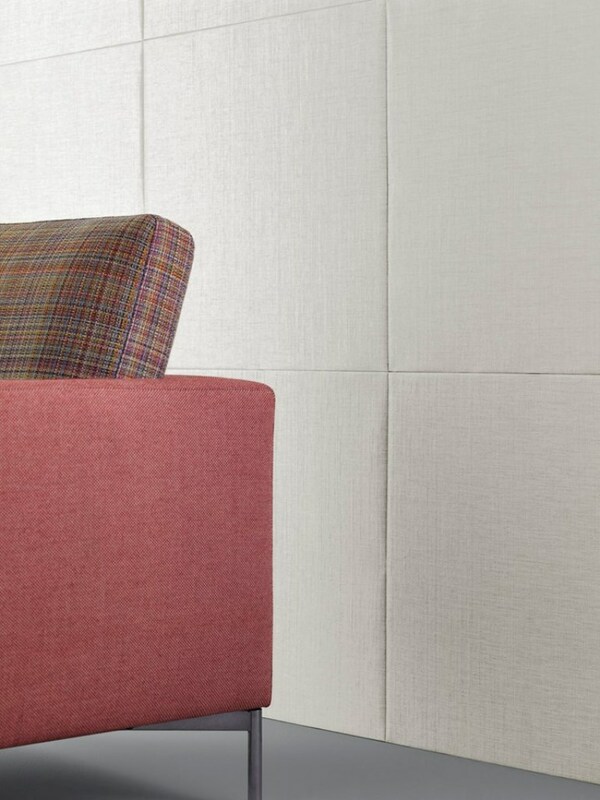 Archer II and Alloy are domestically manufactured high performance woven polyethylene wallcoverings. 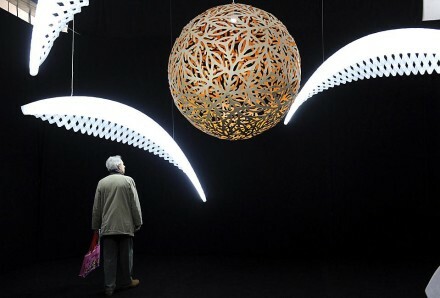 As part of the 24/7 line, they are PVC free, durable, bleach cleanable and competitively priced. 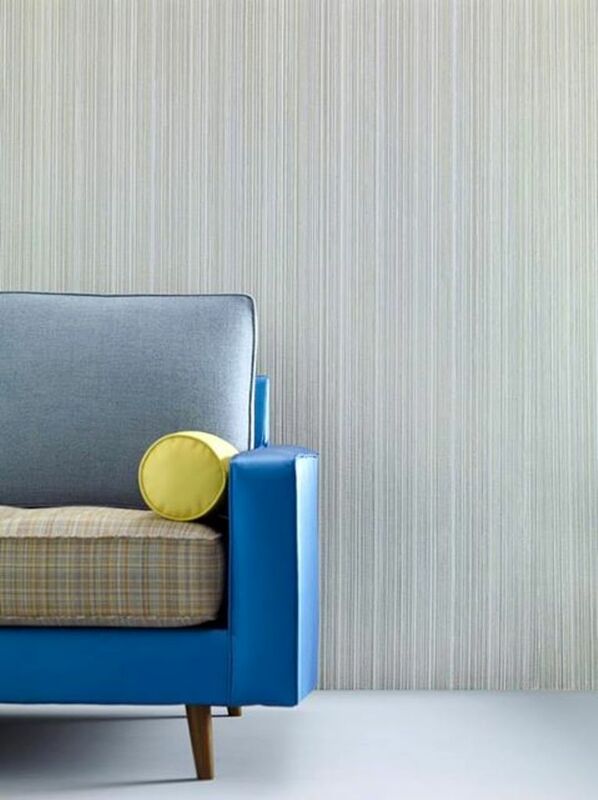 Archer II is a direct glue wallcovering with vertical stripes plus texture. 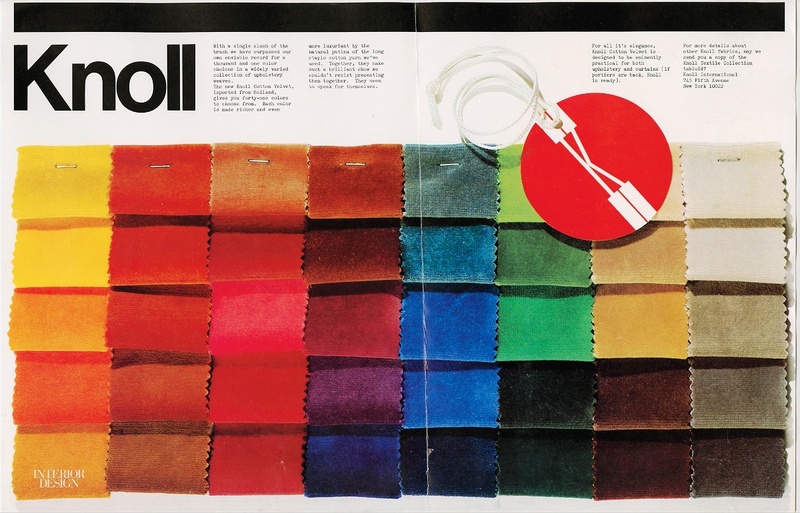 Founded by Florence Knoll in 1947, Knoll Textiles is a division of Knoll, Inc., and maintains a marketing and design studio at 1330 Avenue of the Americas, New York, NY 10019. 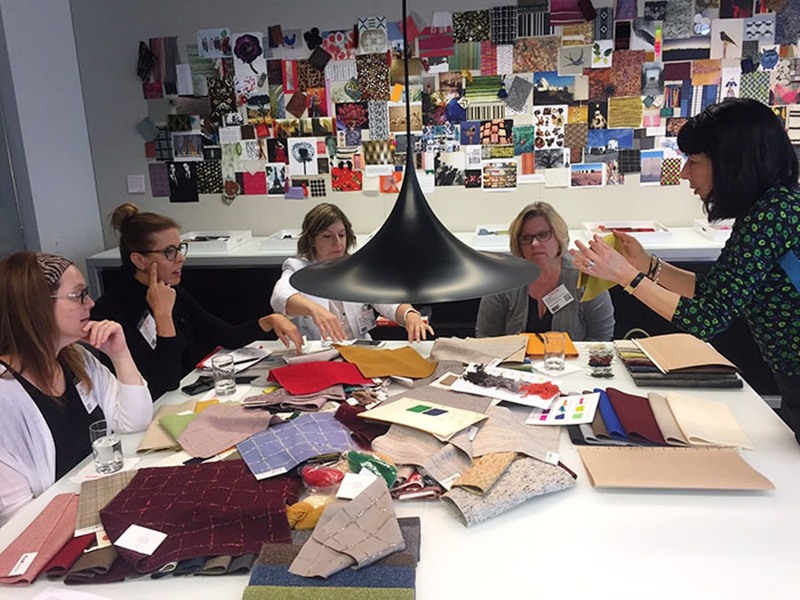 Knoll Textiles satisfies the needs of commercial and residential interiors – combining beauty and function in the Modernist tradition. 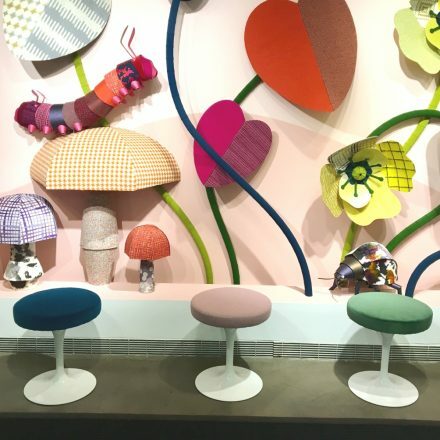 Throughout its history, Knoll Textiles has collaborated with some of the world’s most talented designers, amassing an impressive collection of upholstery, wall covering, and drapery solutions. 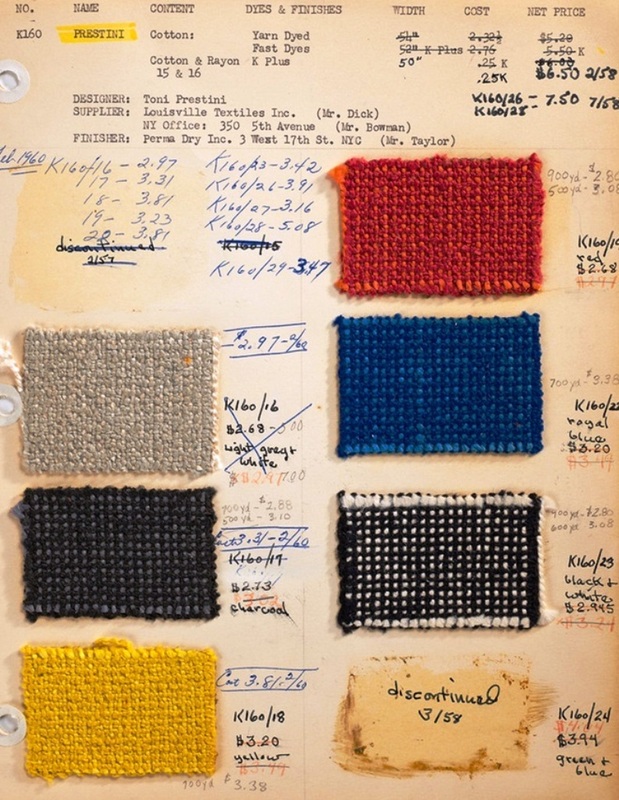 Florence created small fabric samples in three-inch squares, tagged with a folded paper label that was punched to allow grouping in chain sets. 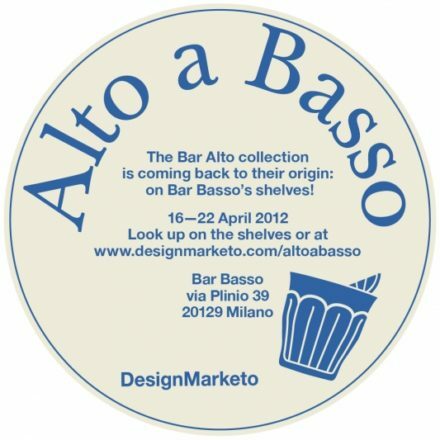 This soon became the industry standard. 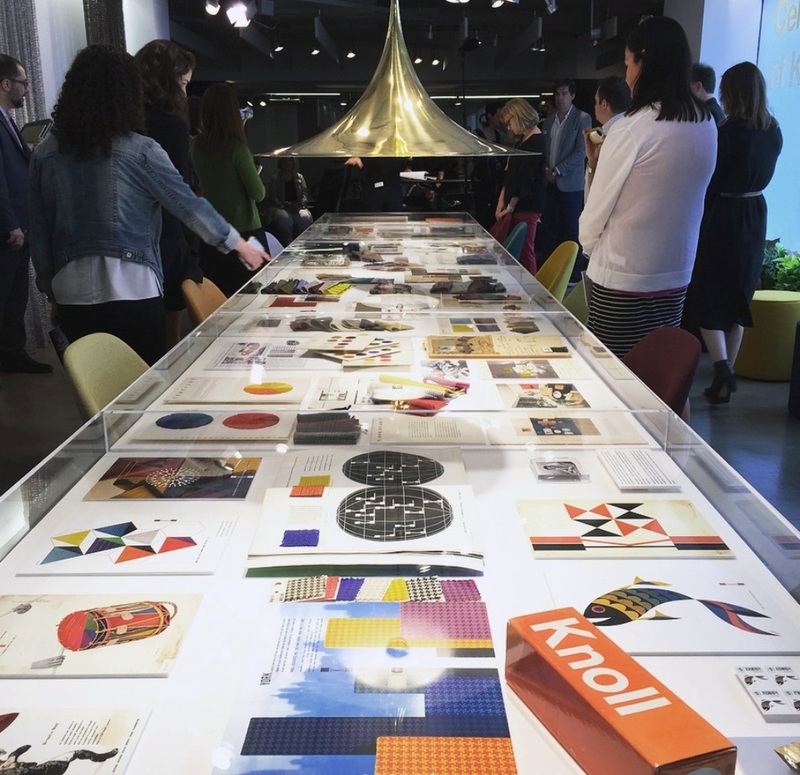 Under the direction of Creative Director Dorothy Cosonas, Knoll maintains its’ commitment to state of the art manufacturing and material development while fostering design collaborations and expanding into new product categories. 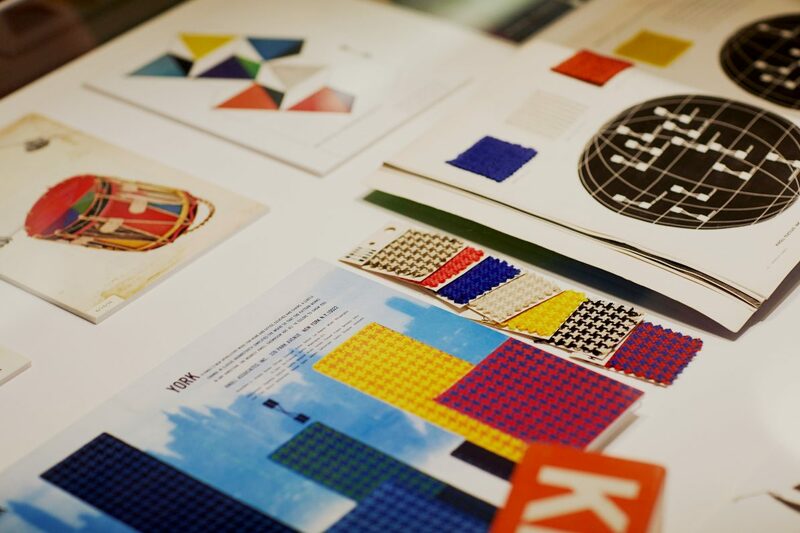 Knoll consistently produce product in clear colors and at times reinvent what comes next for interiors with fresh and unexpected color combinations. 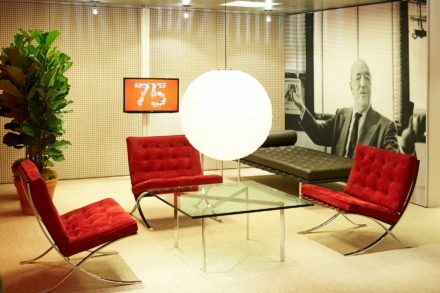 From the outset, Knoll’s objective has been to lead with simple, timeless designs. 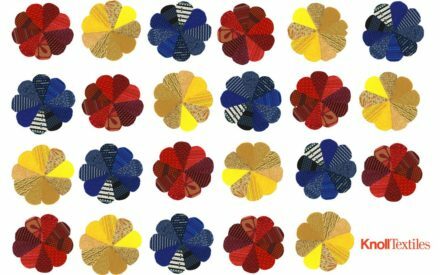 Dorothy Cosonas developed an interest in design at a young age — her mother was an accomplished calligrapher and architectural renderer, and her grandfather was a painter and fabric merchant. 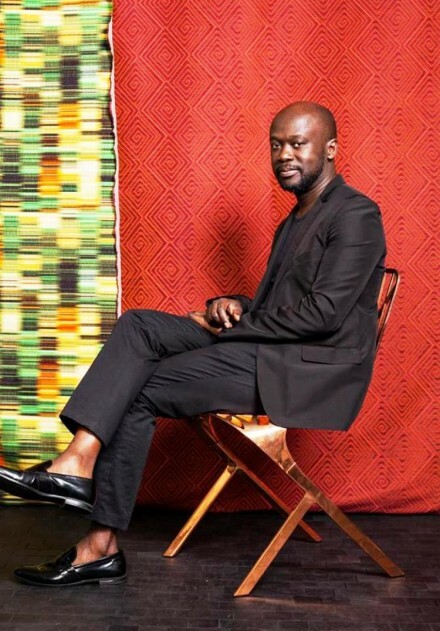 Her passions led her to pursue degrees in both fine arts and textile design from the Fashion Institute of Technology in New York. 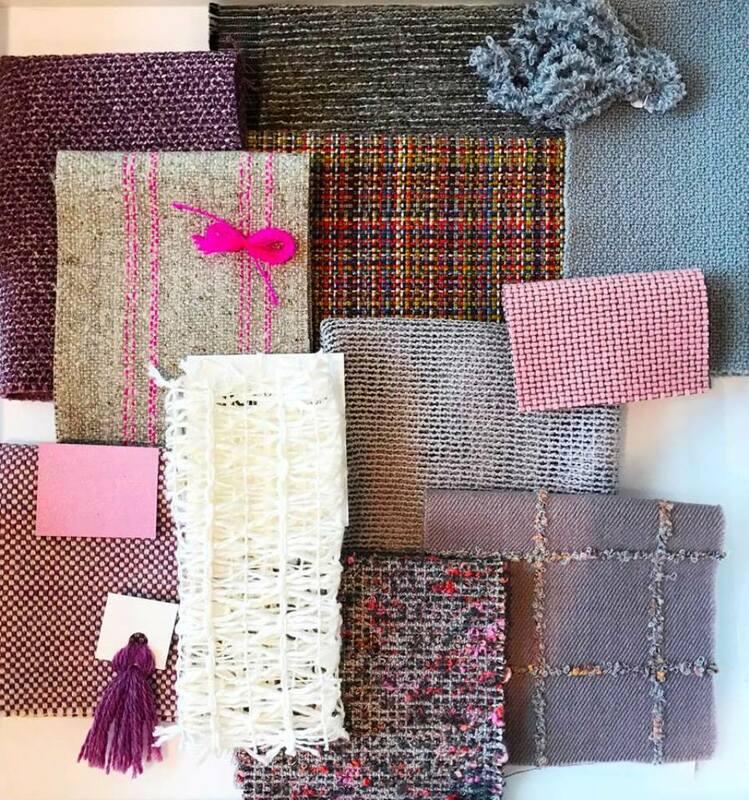 While still in school, Cosonas interned at Unika Vaev, a contract textile firm directed by distinguished textile designer Sina Pearson. 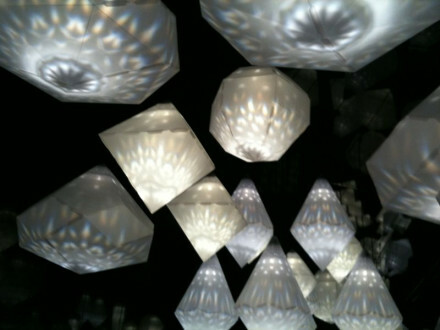 Under Pearson, Cosonas continued to develop her design sensibilities and, in 1994, succeeded her as the company’s Director of Design. 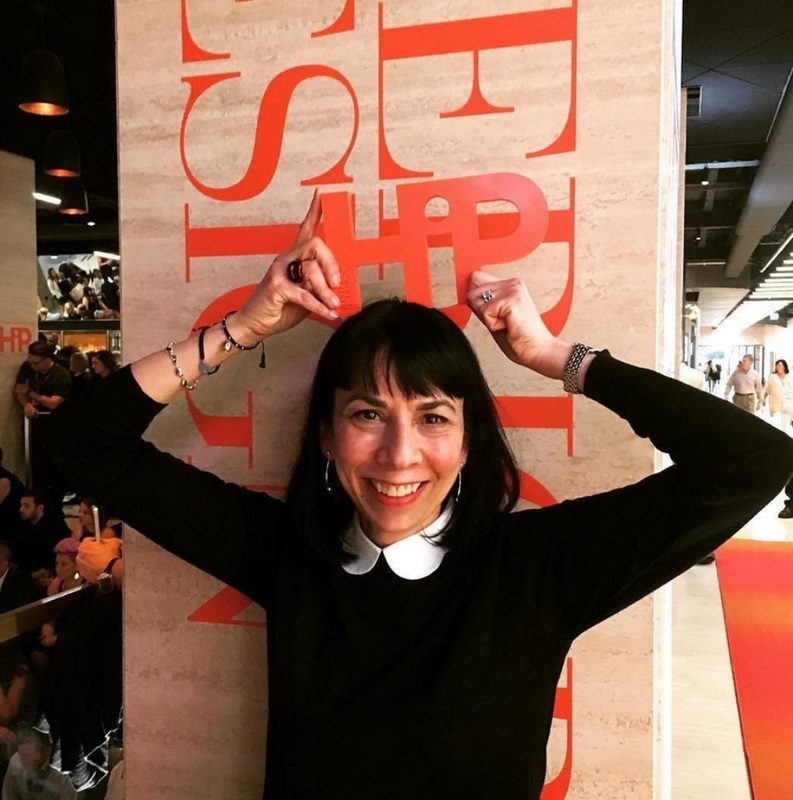 In 1999 she was named Vice President of Design at Unika Vaev. 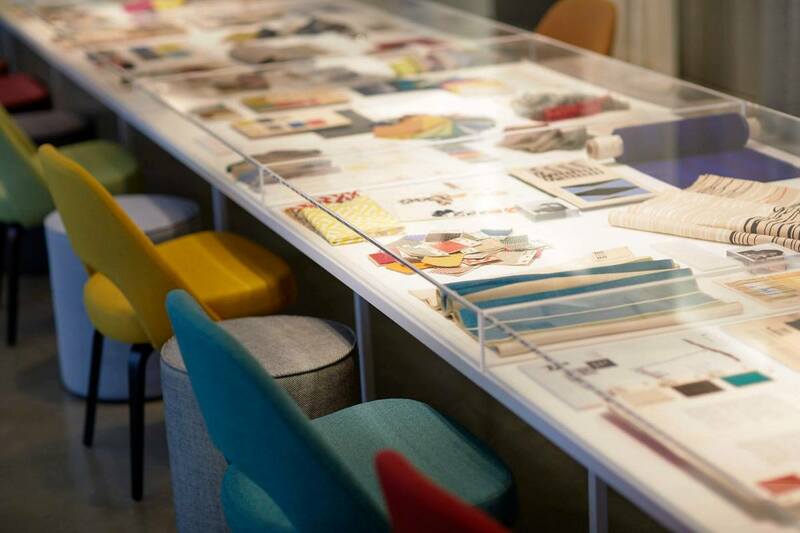 Her inaugural collection won a Best of NeoCon Gold award – her first of 7 along with 6 Silver awards for Knoll.. 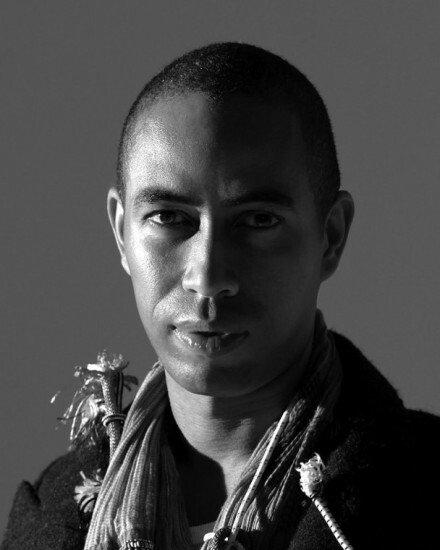 Her work is highly influenced by her passion for fine art and international fashion. 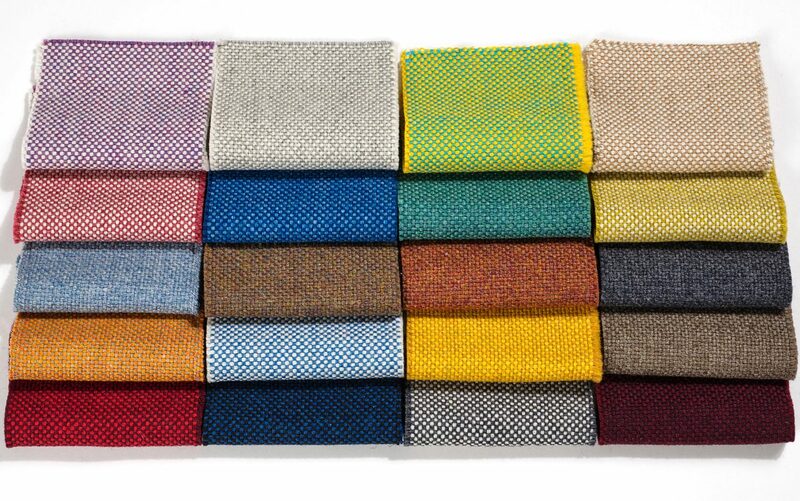 Devoted to modern design, Cosonas is known for combining clean, clear color with elegant patterns and textures. 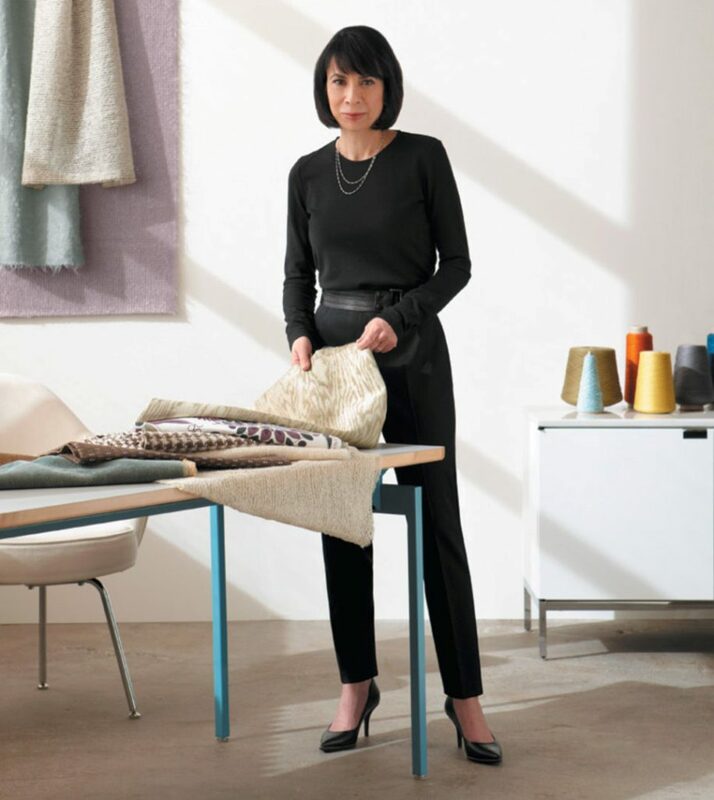 In 2008 she founded Knoll Luxe as the fashion forward luxury component of Knoll Textiles where she has contributed her own work along with collaborating fashion designers such as Proenza Schouler, Rodarte and Maria Cornejo. 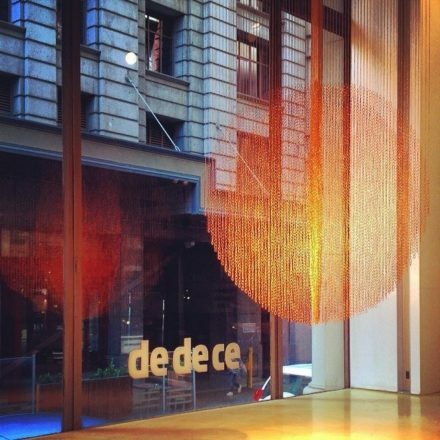 Her work was a major part of Knoll Textiles 2011 retrospective exhibition at the Bard Graduate Center and has been accepted into the permanent collection of Cooper-Hewitt, Smithsonian National Design Museum. Most recently, Cosonas received the 2016 IIDA Titan Award.